Georgia law prohibits casino gambling, however, the United Keetooway Band of Cherokee Indians in Oklahoma would like to change that. The tribe is in the initial planning stages of for seeking approval of a tribal casino. Their progress will be tracked in our News secttion below. A casino opening in Georgia is becoming closer to a reality. Consideration of legalizing gambling in the state is being approached again by State Rep. Ron Stephans. The Republican congressman will be addressing the next General Assembly about allowing for the development of three casino resorts in the state where the cost would be billions of dollars to complete. Under the proposed plan by Stephens, a minimum investment of $1.2 billion must be made and a minimum of 10,000 jobs must be created by each approved casino. Gaming in Georgia has had a series of opposition. One being that it is considered competition to the HOPE scholarship program. It is funded by the state lottery. The expansion of gaming in the state has been consistently opposed by Gov. Nathan Deal. As well as Secretary of State Brian Kemp. He will be running as the nominee in the gubernatorial race this election year. In the legislative session for 2019 to 2020, Stephens will push for the proposed gaming bill to be placed on the ballot for the state's voters to decide on. The Atlanta Journal-Constitution conducted a poll in 2017. 56 percent of the people polled would be in favor of casinos. The lottery was approved by voters by a slim margin in 1992. Since that time the opinion of casinos has soften. $670 million is spent at casinos in nearby states by Georgia residents. It is estimated that $2.5 billion could be spent in Georgia by residents before accounting for tourist dollars. In November voters may have the opportunity to vote on a bill that would allow for Las Vegas style casinos in the state. Next month the legislative session will end and there is increased interest to address the bill as a way to increase tax revenue for the state. A two thirds vote approval is needed in both the Senate and the House. As early as next week a horse racing bill will voted on. The result of that vote could effect the casino bill. The measure would allow for voters to decide if they want a casino in their area. There would be five regions that the state would be sectioned into. There would be up to six casinos allowed in the state. 84 percent of the voters are interested in voting on the matter. ATLANTA - A $450 million project has been proposed to the Georgia Lottery to redevelop Underground Atlanta with 5,000 video lottery terminals, a new 29-story hotel, and upscale restaurants and retailers. Developer Dan O'Leary, who holds a 50-year lease on Underground, said "In order to truly change the perception of Underground, we do have to bring a very significant element to that property that it doesn't have now -- a big draw. VLT machines would be an anchor tenant that would bring folks in." The video lottery terminals look like slot machines, but operate like lottery scratch-off tickets such as "Slots of luck" and "Hold 'em poker." Georgia law prohibits Las Vegas-style gaming, but the lottery law does not specifically prohibit video lottery terminals. The lottery board would own and operate the terminals. O'Leary estimates the casino revenues would be $600 million annually with half going to the lottery. William Pate, president of the Atlanta Convention & Visitors Bureau, says his organization would promote it since many of Atlanta's competitors, such as New Orleans and Las Vegas, already have gaming. Tom Bell, chairman and CEO of Cousins Properties and chairman of the Central Atlanta Progress board, said it "would be a good thing for the city of Atlanta. We are slowly developing an increasingly strong offering as a tourist destination. Having an additional major attraction downtown would be a benefit." 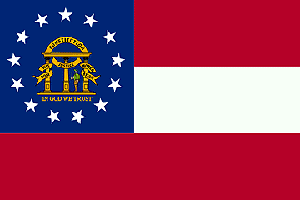 ATLANTA, GA - The Atlanta Business Chronicle reported the findings of a recent study about legalizing casinos in Atlanta. The report by PKF Hospitality Research was requested by high level Atlanta business leaders who want to keep Atlanta competitive as a top tourist destination. The social cost of problem gambling is also reported and could cost Atlanta $320 million a year. About 8% of Americans over 18 are susceptible to gambling dependency. If there is a casino within 50 miles, it is estimated this percentage doubles. Fulton County Commissioner Robb Pitts has long been an advocate for local casinos. "Georgians love to gamble," he said. "Georgians go to the Carolinas, and Mississippi and Nevada in huge numbers. It's my prediction that within five years, we will have casino gambling here in the state of Georgia."